Owners Jeanne and Colin Grier are NFI Certified Hearth Design Specialists. This means that they have passed a rigorous exam and proven their knowledge of all types of hearth systems, including wood-burning and gas fireplaces. The National Fireplace Institute® (NFI) is the professional certification division of the Hearth, Patio & Barbecue Education Foundation (HPBEF), a non-profit educational organization for the Hearth industry. NFI’s objective is to increase public safety by establishing meaningful credentials for professionals involved in planning and installing residential hearth appliances and venting systems. 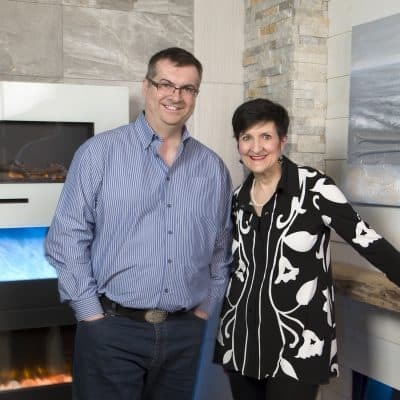 In addition to their hearth expertise, Jeanne & Colin bring a combination of business acumen and interior design expertise to the fireplace business. Jeanne has a Bachelor of Commerce degree, and has run an award-winning decorating business for over 20 years; prior to that, she worked in the computer and hospitality industries. Before joining the family design business, and developing the fireplace division, Colin worked as a General Manager and accountant for a variety of companies, including several that supplied products and services to the construction industry. Together, Jeanne and Colin offer a unique blend of skills that benefit their clients’ projects. At Stylish Fireplaces by Huntington Lodge, we know that the construction of today’s airtight, energy-efficient homes favour electric fireplaces over wood-burning or gas systems. We understand why this is so, and we’re happy to educate our clients, as well. 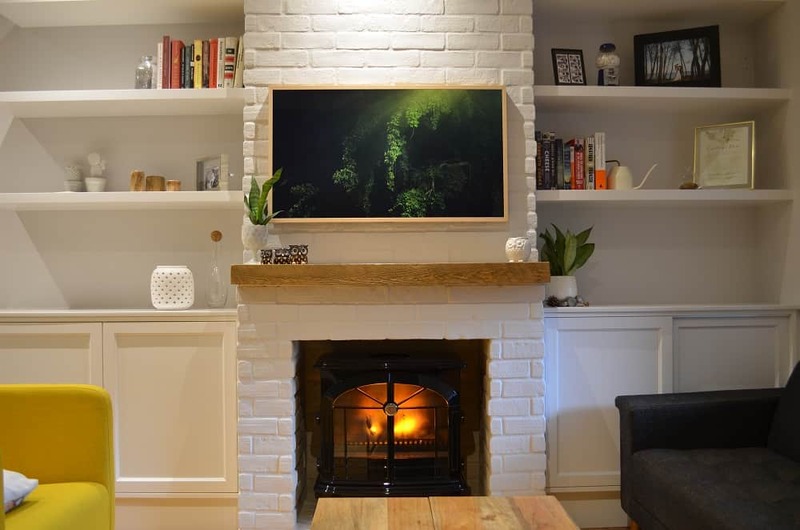 If you’re unsure whether to go with electric rather than gas or wood for your new fireplace, let us know and we’ll be happy to review the differences. When it comes to fireplace design, we have always approached the selection of a fireplace with an eye toward the design of the entire room and the success of the entire project. Our business was founded on the belief that a fireplace is much more than an appliance. We know that the right style and size transforms an average room into an elegant, sophisticated space. When properly incorporated into your room’s decor, the design options of a fireplace create a welcoming focal point in a home, vacation property or office. If you’re having trouble choosing the right fireplace for your room, or you don’t know how to make the rest of the room work with your new fireplace, why not take advantage of our in-house design expertise? We are experts at incorporating fireplaces into stylish room designs, as well as advising on technical issues and customization. We work with both homeowners and trade clients, helping designers, contractors, and builders look good for their customers. To help all of our clients make the right choice, we’ve specifically designed our store to showcase a wide variety of quality, top brand electric fireplaces, from modern to traditional. We also feature many unique wall coverings and finishes to enhance our fireplace designs, to help you visualize the finished project. We’ve established a reputation for service with our valued trade accounts. 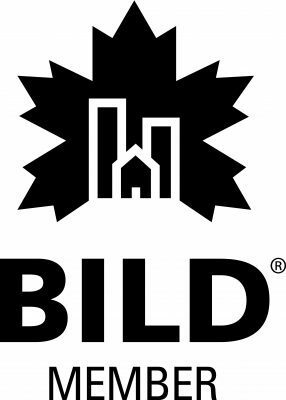 We are proud members of BILD and DDA and we offer designers and decorators training with our CEU course “Building, Renovating and Decorating with Electric Fireplaces.” We are here to help you accomplish your design ideas, ensure expert installation and assure your clients that they’ll receive lasting benefit from their fireplaces. If you need specific customization, talk with us. Whatever you dream up, we can show you how to make an electric fireplace work in your space—freestanding, two-sided or wall-mounted, with elegant cabinetry, custom-made mantels, or home theatre options. We can even help you dream up a new space and make that a reality, too. We’re here to help. Even when you need more than a fireplace.